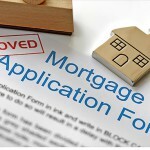 1st time buyers, home movers, buy-to-let, remortgages, adverse credit. Get paid every month for work you do once. Work from home. Flexible hours. Free training. No experience needed. This page includes information provided by Land Registry. This material was last updated on 01st April 2019. It covers the period from 01st January 2005 to 28th February 2019. © Crown copyright material reproduced with the permission of Land Registry under delegated authority from the controller of HMSO. Permitted Use. Viewers of this information are granted permission to access this Crown copyright material and to download it onto electronic, magnetic, optical or similar storage media provided that such activities are for research, study or in-house use only. Any other use of the material requires the formal written permission of Land Registry which can be requested from us, and is subject to an additional license and associated charge. If you think that any of the property data supplied by the Land Registry is incorrect, please use this link to notify the Land Registry. Please make a note of the postcode and date of sale because you will need these to identify the property.